In years gone by, families used to care for their elderly loved ones at home. Nowadays families often live miles from each other, and those who don’t still need to go out to work to pay the bills. Modern life has stolen away the time we’d like to give to our elderly parents. So what can you do when an elderly loved one insists on staying at home but just can’t manage alone? You can hire a live-in carer, a dedicated professional who will move into your loved one’s home and care for their personal, health, social and emotional needs, day and night. So how exactly does live-in care work? What will a live-in carer do, and just as important, what will they not do? The exact duties and responsibilities of a live-in carer will vary from client to client. Your sprightly aunt, for instance, may need less mobility help than wheelchair-bound Meryl who lives down the road. But maybe Aunt Barbara benefits more from trips out of the house to appointments and companionship now that she lives alone. Limited night-time care. A carer will not work a 24-hour shift (more on this below). Nursing support such as giving injections. You may need to arrange specialist nursing care through the same care agency. Heavy lifting – while carers are trained to help clients move, they should not be expected to move clients without a hoist, or to carry them between bed and wheelchair. Smoking or drinking in your home, unless you give them permission to do so. Inviting unknown people to your house, making calls from your telephone. Accepting gifts or loans from clients. Witnessing legal documents such as a will or credit agreements. These prohibitions are in place to protect the carer as well as a potentially vulnerable client. A great deal of the above will be influenced by what your loved one actually needs, or wants, their live-in carer to do. Many elderly people wish to be as independent and active as possible, so just because a carer is available doesn’t mean they have to succumb to complete reliance. It’s useful to have a conversation with your mother or father (or Aunt Barbara!) first to see what they might want before arranging live-in care. This would form the basis of their care plan. How does your relative like to spend the day, for instance? Would they want someone to read with them, to accompany them on walks, to keep them company, or would they see the carer as just being on stand-by until they have a task for them? How about the shopping? Would your relative want to keep charge of the household expenditure or ask the carer to do that? If the latter, procedures should be in place to track the money adequately. The care agency may be able to provide a pre-loaded debit card as well, to protect your loved one. Carers typically expect to cook and follow special diets for one or two people. You or your relative should not expect them to make food for anyone else who drops by, or the entire family on a Sunday, unless previously agreed. If your loved one is a foodie and loves cooking themselves, they should consider how much they may want the carer to do in this area. Perhaps preparing meals could be a joint enterprise. It is also part of a carer’s duty to ensure the house is clean and tidy – typically, the kitchen, bedroom, bathroom, toilets and any other rooms where your relative spends the day. Anything more strenuous would usually need to be negotiated separately. Likewise, a carer will typically feed and exercise pets each day, assuming they are house-trained and not dangerous. Finally, many carers can drive, which can give your loved one some much appreciated independence, even if it’s just being driven to doctor and hair appointments. If your relative wants them to drive their car, however, they are responsible for ensuring they have the correct insurance and checking the carer’s driving licence. Pleasant surroundings are an important factor for carers when choosing who to look after and it is your (or your relatives’) responsibility to provide a comfortable working environment. Carers should have their own private bedroom, for instance. It doesn’t have to be palatial but should be heated, clean and comfortable, with a bed, storage, easy chair, bedside table and lamp, as well as internet access and a TV if possible. A carer’s job can be stressful; providing a home away from home will allow them to de-stress and be keen to keep the arrangement going. Many agencies will conduct a thorough examination of your relatives’ home before the carer moves in to ensure it is safe. They may make recommendations, such as to buy a carbon monoxide and/ or smoke alarms; to add other safety alarms (so your loved one can alert their carer to problems from anywhere in the house); or to fix any loose carpets or other potential dangers. Your relative may also be responsible for buying any equipment the carer will need to do her job adequately, such as hoists, gloves, aprons etc.…. They should also ensure their household insurance policy covers the carer for any accident, damage or loss while she is working in their home. Yes, your carer will live with you or your loved one 24/7 but that doesn’t mean you can expect them to work 24/7. Carers are people too, and they will need a break or two throughout the working day. As a general rule of thumb, you should give your carer enough free time for his or her own meals, time to shower or bath, and probably another 30 minute break in the morning and afternoon. Some agencies also recommend you allow as much as two hours of free time each day, on top of the above. If the help your relative needs is particularly strenuous or stressful, you may also have to consider granting the carer additional time off to allow them to recharge their batteries. (Otherwise you may find you have a fast turnover of carers which can be very disruptive to your relatives’ peace of mind). If your relative needs constant 24/7 monitoring, you will need to discuss that with your care agency or provider, who can probably arrange for temporary cover during the live-in carer’s hours off. 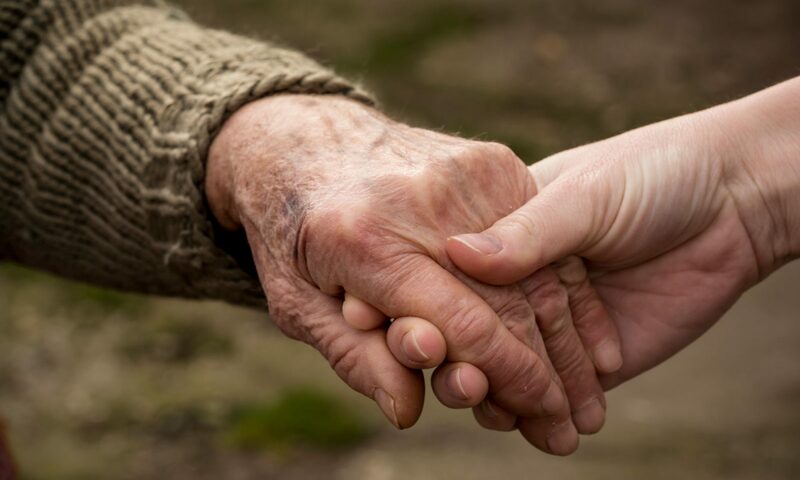 Your frail mother or father may need some help if they wake at night – perhaps they’ll need someone to help them to and from the bathroom, to fetch a glass of water, or to deal with any personal hygiene issues that may crop up in the night. They will also benefit from having someone on stand-by in case of emergencies in the small hours. That’s the beauty of a live-in carer… you also get peace of mind knowing they are there if needed. That said, while a carer expects to have some interruptions in the night, it is also important that they get a good nights’ sleep. If they are unable to do so, they may be able to claim compensation from the agency, and your relatives’ care costs will increase. You can help to keep costs down by allowing them extra time off in the day to catch up on sleep if they had a particularly busy night.